This double-LP package combines two of the earliest releases from the often imitated but never duplicated Melvins. Formed in the early-’80s in the scenic wonderland known as Aberdeen, WA, the band took inspiration from Black Flag, Black Sabbath, Venom, Flipper, Stooges and other floggers of high-energy, low-velocity plod. Today, more than 30 years later, they might be more popular than ever. Slow and steady wins the race. Disc One is Eggnog, from 1991. Originally released as a 10-inch, Eggnog is a wild ride into the outer limits of Melvins-dom. 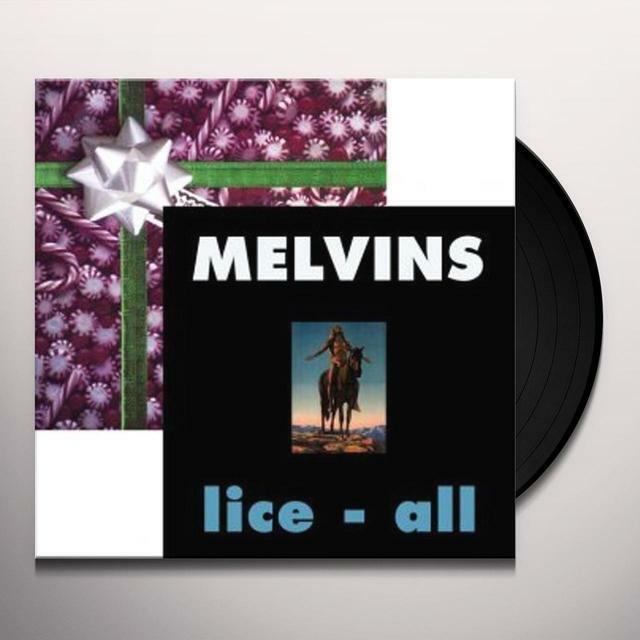 Disc Two is Lice-All, from 1992, previously known as self-titled. This was their last release before signing their Atlantic deal, and features the introduction of new bass player Joe Preston (previously of Earth, currently of Thrones). It’s one long, slow, loud blob of drones, moans and fuzztones. The opening endless power chord shimmer influenced Sleep, Sunn O))), and countless other sludge metal drone freaks for years to come. The LPs have been remastered and are back in print on vinyl for the first time in 15 years. The new gatefold packaging includes never-before-seen vintage photos, as well as the original artwork and insert, all tidied up and ready to meet Mom and Dad. Free download is included.